"We pulled up here, and we were just devastated. Couldn't believe what I was looking at," says one retiree with a home in the Florida Keys. Just a few days after Hurricane Irma, residents like Tom Ross are returning to the upper Keys, and finding their homes and properties destroyed. Millions still without power across the southeastern U.S.
Cut off for days, U.S. Route 1 partially reopened on Tuesday, allowing a stream of anxious, exhausted and frustrated residents to make the trip back to their homes in the Florida Keys following Hurricane Irma. 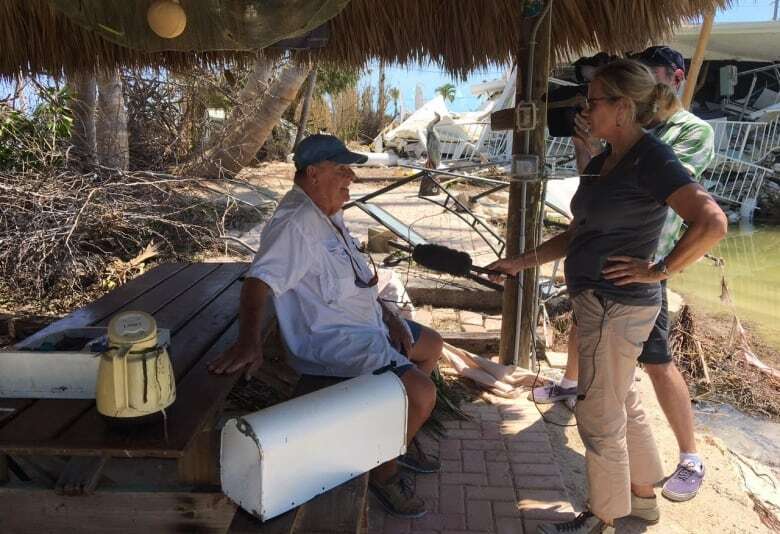 "My son called me up and said, 'They're letting them in, let's go,'" said Tom Ross, a retiree who lives in Fort Lauderdale and maintains a vacation home in Islamorada, a community that spans six of the Keys. "We pulled up here, and we were just devastated. Couldn't believe what I was looking at," he told CBC News outside of his levelled building. The three storey, 12-unit condominium collapsed when Irma smashed into southern Florida on Sunday morning. The third floor is now at ground level, pounding a second storey and a car park deep into the ground. The paved front drive is cracked and heaved, looking more like the fallout from an earthquake than a hurricane. What's left of the complex is torn open, exposing a life's worth of family memories and good times in the oceanside community. "I've been coming here with my wife for about 18 years," said Ross, his voice cracking. "It's very hard." Irma made landfall in the Keys as a Category 4 hurricane before driving up the western coast of the Sunshine State and farther northward into the Carolinas and Georgia. Irma has been blamed for at least 29 deaths in the U.S. and dozens more in the Caribbean. 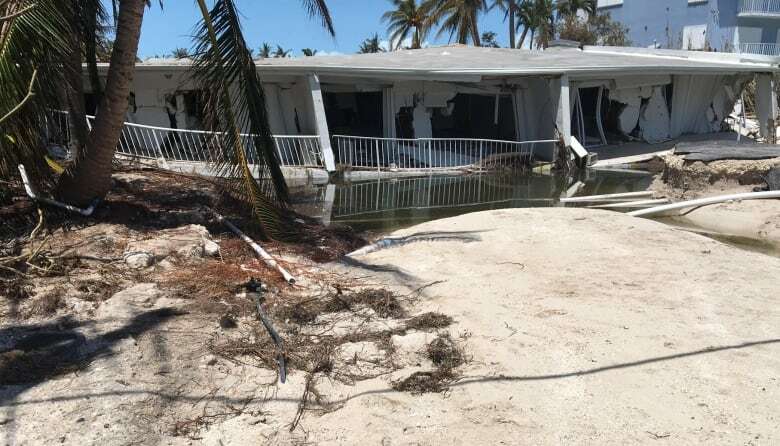 The U.S. Federal Emergency Management Agency (FEMA) estimates about 25 per cent of the homes in the Keys were destroyed. Another 65 per cent were hit by some form of damage. Irma shredded houses and mobile homes with 165 km/h winds, and the storm surge that followed swallowed up entire towns. Boats and jet skis were left strewn across beaches and roads. Early Wednesday, millions of people in Florida and another 750,000 across the southeastern U.S. were without power. With no electricity, fresh water and little gasoline, those with proof of residency in the upper Keys are trickling back to their communities. The southern Keys, though, are still cut off. Michael Minardi lives in Cudjoe Key, where Irma made landfall in Florida. He fled his home late last week, making the five-hour drive to Bonita Springs, outside Naples. By Saturday, he was hunkered down in a Holiday Inn Express that was at capacity with hurricane refugees. It was then that Minardi realized he had simply traded one danger zone for another. The eye wall passed almost directly over him as Irma rolled past. Like thousands of others, he was stranded. "We really don't have anywhere else to go, so we'll try to stick it out here as long as we can – until the Holiday Inn expels us," he laughed wryly. Adding to his stress, he's heard "absolutely nothing" about his home and property. But based on maps of Irma's path, it's difficult not to be fearful. "It got hit pretty hard," Minardi said. Crews spent the last two days clearing the highway, a main north-south artery that connects the states on the Atlantic coast. It's also the vital thoroughfare linking the narrow archipelago at Florida's southernmost tip to the mainland. Long convoys of hydro and AT&T trucks were heading to the Keys to repair communications that had been cut off since Sunday. The Red Cross and Salvation Army were sending in essential supplies. A CBC News crew reporting from the Keys also saw a convoy of about 20 vehicles, including U.S. border patrol and unmarked police vehicles, speeding south. Authorities have expressed concern that power outages could make communities vulnerable to looting. Ross spent time Tuesday sitting on a bench in the yard of his condo building, simply trying to imagine what happened. Was it the wind or the water that collapsed his home? "I don't know," he said. "I know what hurricanes can do. I didn't think it would be this bad, but Mother Nature does what Mother Nature wants to do." 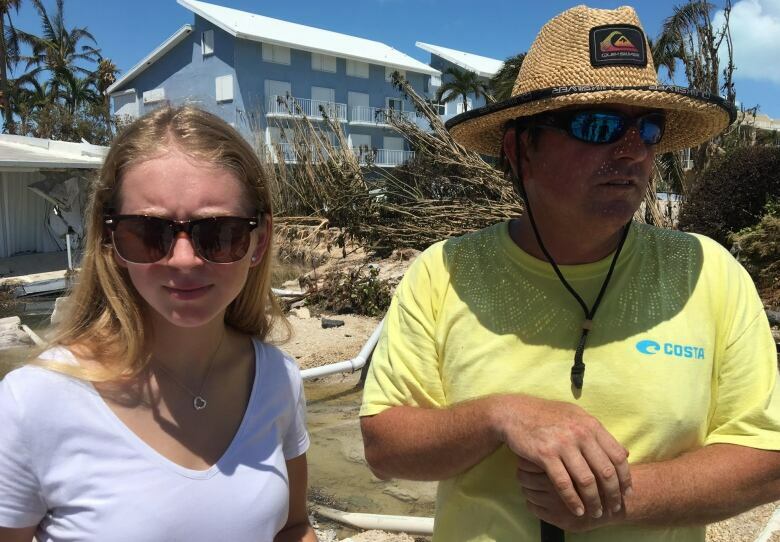 His son, Mike Gilbert, and granddaughter Brooke waded through the newly created lagoon lapping against their devastated home. As they salvaged a few submerged possessions, Gilbert pulled a one-metre-tall carved wooden seabird from a tangle of toppled trees and palm fronds. "This is all we've got left," he said. "I expected it might tear the roof off the building, but never this." Irma cut a random path, tearing through Ross's condo but leaving his next-door neighbour's building battered, although standing upright. In spite of Irma, Andrew, Wilma and other hurricanes that have ravaged Florida, Tom Ross wants to rebuild. "Look over there," he said, pointing towards the Atlantic Ocean some 200 metres away, shimmering in the sun. "I sit on my front porch every morning and look at the Atlantic Ocean ... This is the only place in the Keys, nobody could ever build anything in front of me," he said. "Yeah, I want to rebuild, right on this spot. 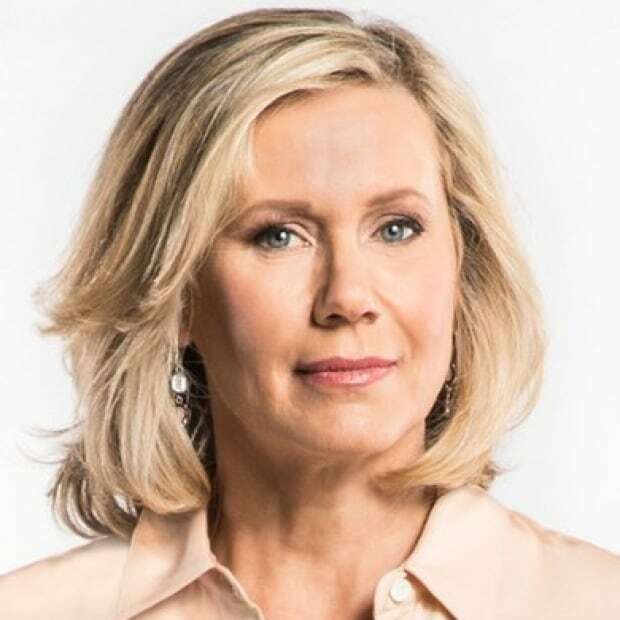 Susan Ormiston's career spans more than 25 years reporting from hot spots such as Afghanistan, Egypt, Libya, Haiti, Lebanon and South Africa.